Legalbitstream is a tax law research website that provides searchable databases of United States federal income tax and estate tax law. This file contains the statutory code for the United States of America as published in the compilation entitled United States Code Service. It includes all laws of a general and permanent nature, as enacted by the United States Congress. United States Code Service archives are available from 1992. -- To find a specific statute... In "Quick Find", type in 26 USCS SEC Section #. This is the official code as put out by the Government Printing Office. The CFR - Code of Federal Regulations file contains the full text of all titles from the Code of Federal Regulations (CFR). The CFR is a codification of the general and permanent rules and regulations published originally in the Federal Register by executive departments and agencies of the federal government. CFR archives are available from 1981. 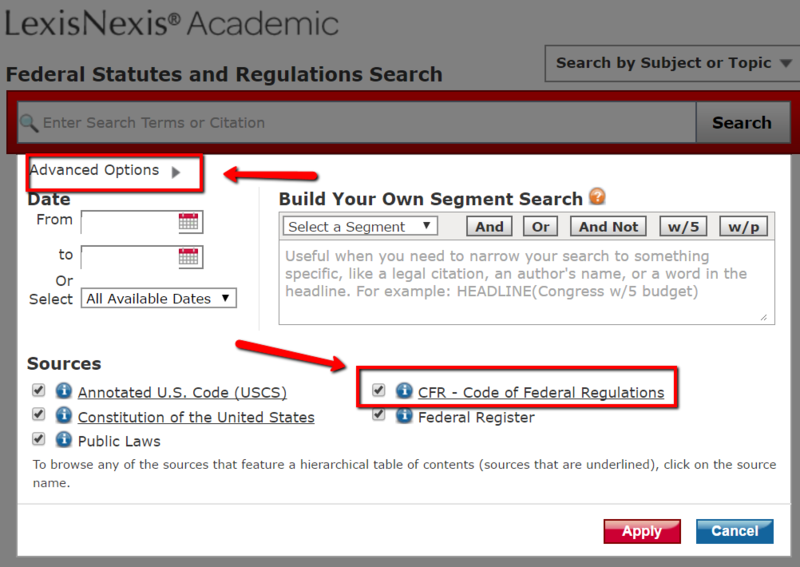 On Lexis Advance, if an archived version of a CFR section is available, then a link will appear under About This Document, followed by the number of archived versions in parentheses. -- -- To find a specific regulation... 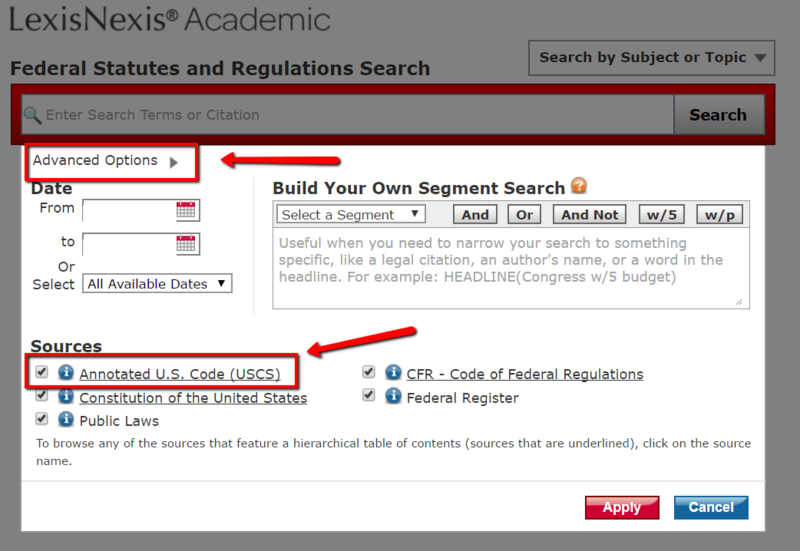 In "Quick Find", type in 26 USCS SEC Section #. 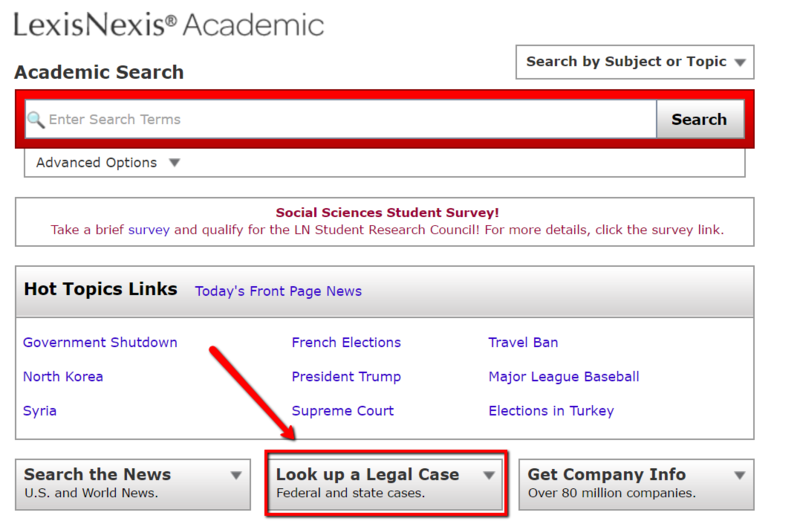 Click on the "Look up a Legal Case" at the bottom of the screen. The mission of the United States Tax Court is to provide a national forum to expeditiously resolve disputes between taxpayers and the Internal Revenue Service while carefully considering the merits of each case and ensuring the uniform interpretation of the Internal Revenue Code.